Life with Lesley: Back to School at Amazon w/ FREE Shipping NO Prime needed!! Thanks Groupon! 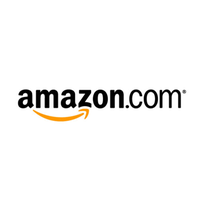 Back to School at Amazon w/ FREE Shipping NO Prime needed!! Thanks Groupon! Thanks to Groupon we can now get FREE SHIPPING at Amazon.com without Prime. Groupon is an online site that has over 9,000 retailers where you can find over 70,000 deals! You just need to know where to look. And I'm here to lead you in the right direction! Back to school shopping will be a breeze with up to 50% off, there is also a code for a free $5 credit! You can not beat those deals! Amazon isn't your thing? No worries! Maybe you want to check out Aeropostale, Target, Rue 21, or even Tractor Supply. The possibilities are endless. Groupon is for everyone!